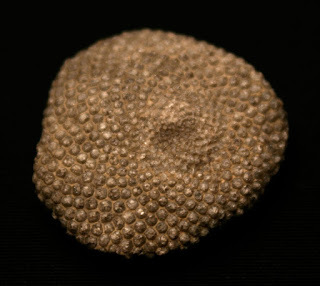 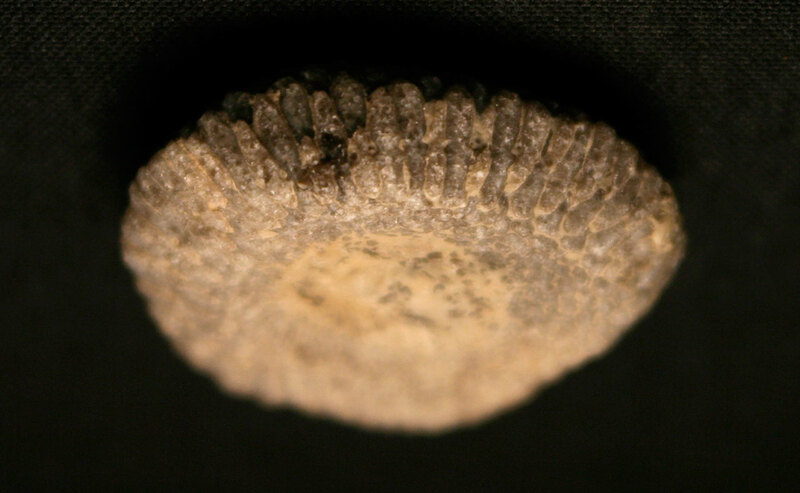 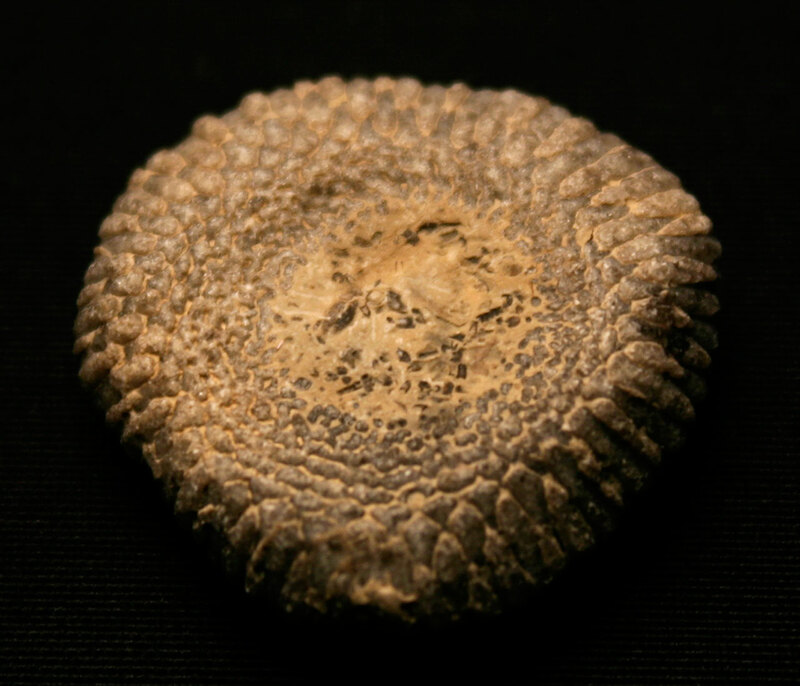 These images appear to show fossilized discoidal dasycladacean alga called Receptaculites subturbinatus. 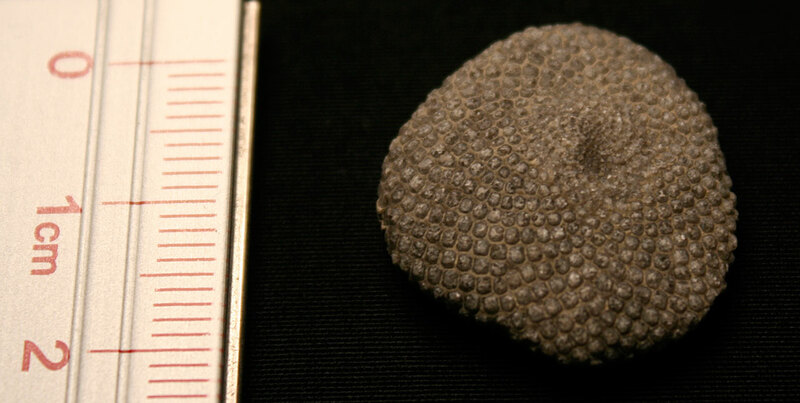 It was found in the Waldron Shale of Bartholomew County, Indiana USA. The fossil dates to the Middle Silurian Period (Wenlockian). 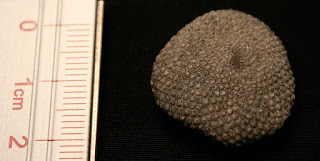 See more examples at Falls of the Ohio State Park web site.